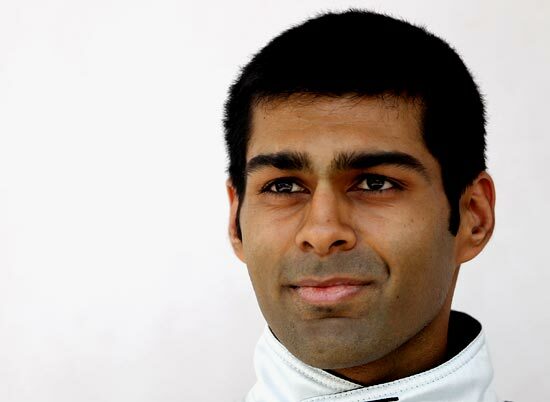 Karun Chandhok is ready to claim an Indian motor racing first by starting the Le Mans 24 Hours sportscar race next week. Narain Karthikeyan will always be the first Indian driver to have competed in Formula One, and is still the only points scorer, but Le Mans offers Chandhok his own chance to be a groundbreaker. "As long as I do a lap in the race that will be enough. 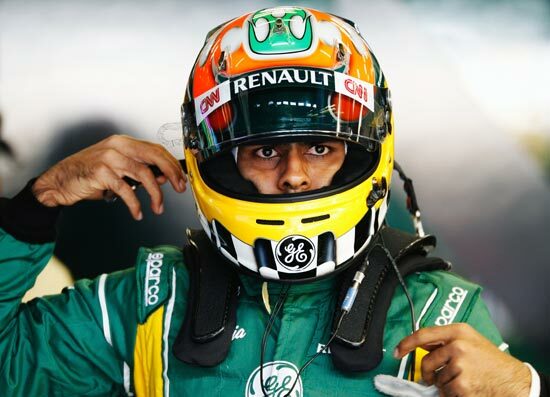 To be first out of 1.3 billion (Indians), that's quite nice," the 28-year-old former F1 driver said after his first laps of the Sarthe circuit in Sunday's official pre-race test. The key is in the word 'start'. Karthikeyan qualified for the 2009 Le Mans but did not take part in the race after wrenching his shoulder while clambering over the pit wall. 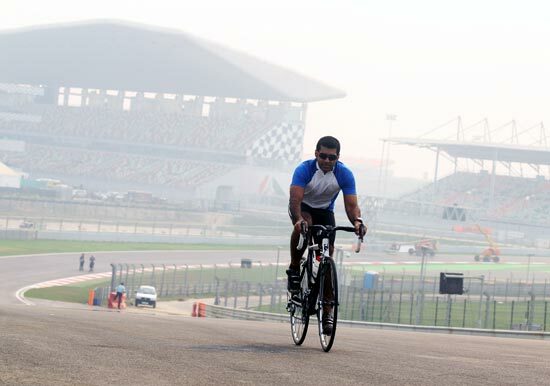 "I will be walking around the pit wall to go to the toilet," said Chandhok with a chuckle, without in any way diminishing Karthikeyan's achievements in getting to where he did. "We've spent the last 10 years in India, Narain and myself, telling everybody how mega F1 is and I think in many ways we've glossed over the fact that there are other high-level categories and championships and good races out there like Indy and Bathurst and Le Mans," added the driver. A 24 Hours is the equivalent of 18 Grands Prix in distance terms, nearly a full Formula One season in a day, with cars covering 5,000km from start to finish. The attendance figure, many coming from Britain, will be pushing 250,000. As Chandhok pointed out, that is a bigger crowd than a sellout India v Pakistan cricket match at Eden Gardens and the Indian Grand Prix put together. He will be sharing a Honda LMP1 car for the British JRM team with Australian David Brabham, son of triple F1 champion Jack and winner in 2009, and experienced Scot Peter Dumbreck. "It's one of those big, epic boxes you have to tick in your career," said Chandhok of a race that will see his private team fighting to be best of the rest behind the mighty Audi and Toyota works outfits. They were 11th quickest of 61 cars on Sunday. "It was my first time ever here and a bit of an eye-opener when you're going down the back straight, I can tell you. When you go to a place like Monza it's really quick but...when you are doing more than 300k four times on the lap, it's a pretty mega feeling," he added. "It's pretty daunting actually because with the traffic and on a circuit you don't know, you are still trying to find your way around and you have the Audis coming past you and then you've got slower cars in the way. "It's also narrower than you think because you've got the trees and the barriers quite close by." 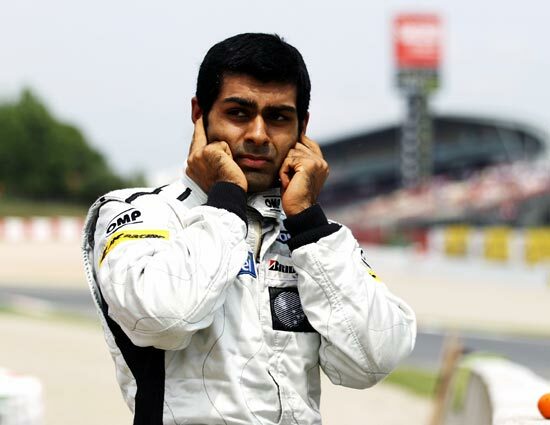 The grid will be decided in qualifying next week before the race starts on June 16 but Chandhok's 17 laps on Sunday mean he has done enough distance to qualify as a driver. His last F1 race was with Team Lotus (now Caterham) in Germany last year after 10 races with HRT in 2010 ended in acrimony. His then boss, Colin Kolles, will also be at Le Mans with his own team several garages up the pit lane. Karthikeyan is still racing for HRT, under new management, and Chandhok has not given up on returning to F1 one day although he recognises it will be difficult. "Of course if there was an opportunity to race in Formula One, you're never going to say no," he said. "But the way that it's gone, how many non-paying seats are there outside the top four teams? "We're still looking into it, to see if we can get the right commercial backing in place but I'm very realistic," he added. "I've had to mortgage the family homes twice in my career and my grandparents' house once in the last six years to get to where I am and I've just started recovering the debt. "It's going to take me a few years to recover and do the pay-back on that so I can't afford to keep...my whole family at risk of living in debt their whole lives just because I'm chasing a dream. "I wish I was a multi-millionaire but I'm not." PHOTOS: This supercar can go up to 390km/h!